Hi I’m Paige Parker and I am a proud member of the James L. Camp Jr. YMCA Leaders’ Club. 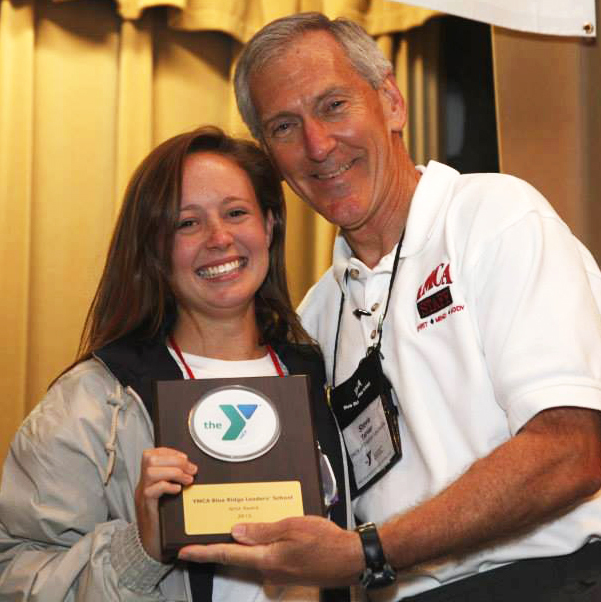 I began my journey with the Y at a young age, playing youth soccer, youth basketball, and attending camp every summer. My grandparents’ firm foundation in the Y led to my involvement in several of the Ys programs. My grandmother brought home a Leaders’ Club application one day and encouraged me to join. At first, I was hesitant because I had no idea what Leaders’ Club was. Little did I know that filling out that application would change my life forever. From the moment I began New Leaders’ Training, I knew I had found my niche. After spending a week listening to the older leaders teach us the rich history of the Y and Blue Ridge Leaders’ School, I knew I had found something special and that I wanted to stick with it. I am so incredibly thankful that I did. Each member of the club welcomed me with open arms. Their bright smiles and lively spirits inspired me, making me want to go to every event possible. I jumped right into every opportunity Leaders’ Club had to offer, whether it was working the clock for Saturday morning basketball or doing crazy activities at the annual overnights. Leaders’ Club became a passion of mine and I am a healthier, happier, and all around better person because of it. Serving in the positions of President and Vice-President has given me the opportunity to work closely with first years. One of my favorite parts about the 51 weeks out of the year that we aren’t at Blue Ridge is making sure the first years know how much Blue Ridge transforms people and how much I strongly advise each one of them to go. I love watching them grow and develop leadership skills throughout the year. I can’t explain the joy it brings me as I watch them make new friends and break out of their shells at Blue Ridge. It always takes me back to being a first year on the mountain. In 2010, I attended Blue Ridge for the first time and it was during this week that I discovered myself and my love for this amazing program. It was unlike anything I had ever experienced. I remember sitting on the hill for my first Vespers and overlooking the beautiful mountains. It was such a spiritually and emotionally breathtaking moment for me because I realized how lucky I was to be a part of something so wonderful. I took my mask off that week and I’ve remained unmasked since that first day at Blue Ridge. BRLS encouraged me to step out of my comfort zone. It taught me the true meaning of friendship, compassion, and most importantly, leadership. I just completed my sixth year (YAY) so it will be my seventh year on the mountain and I am so excited to have the opportunity to serve as an Honor Leader at the 2016 Blue Ridge Leaders’ School. It is truly an honor and a privilege to give back to an organization that has given me so much. I am overwhelmed by the amount of faith, love, and support that has surrounded me over the past six years. I want to do for others what they have done for me: help others realize their worth and recognize the unique abilities they possess and I couldn’t think of a better place to do it than on the mountain. Between now and Blue Ridge, I will be attending James Madison University to major in Health Sciences, go Dukes!